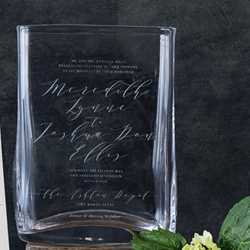 Simon Pearce Weston Wedding Invitation Vase is a wonderful way to commemorate your special day. 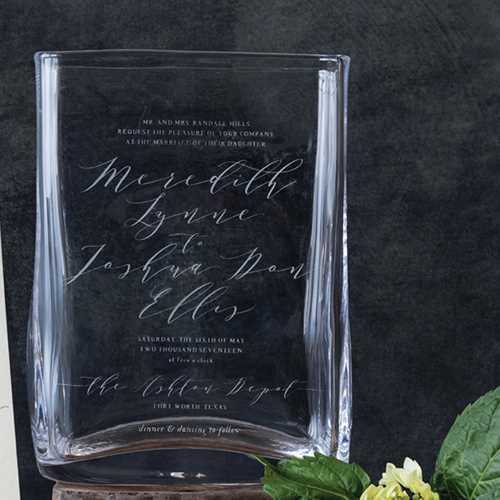 We'll need an original copy of your invitation to provide Simon Pearce Master Engravers. Orders typically take 4 weeks to complete.